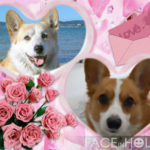 A Very #Corgi Wedding Week: Ernie Corgi and Chloe Anne Johnson! 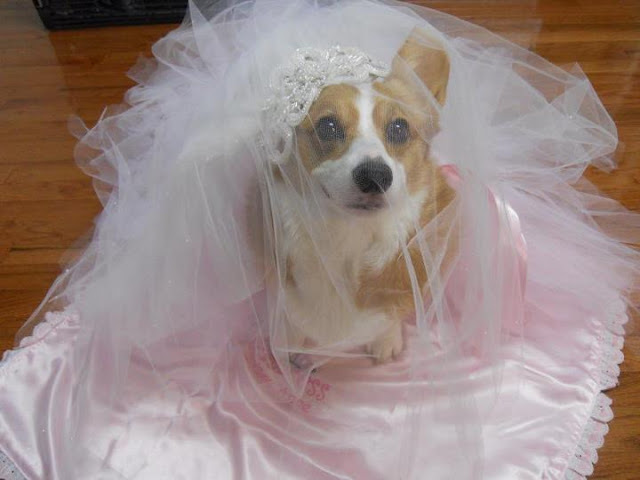 What would a Very Corgi Wedding Week be without an actual Corgi wedding? Incomplete, that’s what. These low-riding lovebirds were joined in long distance matrimony on May 20, 2012, exchanging their vows in a sunny beach wedding via Facebook. It was a festive occasion to remember. 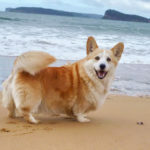 Today we revisit that most special of days in the lives of these two Corgis. 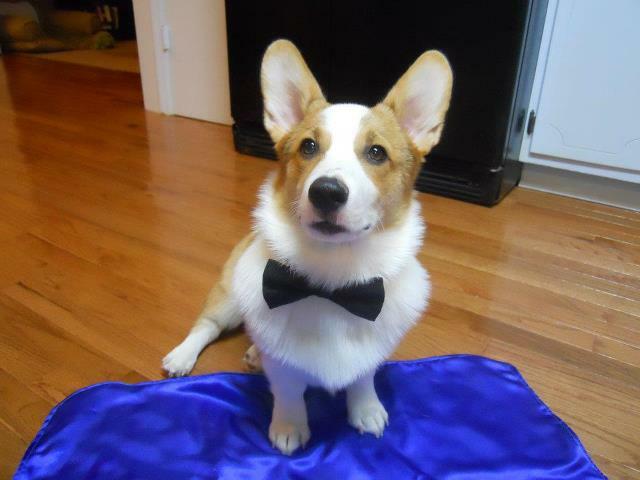 Mazel Tov, my friends! 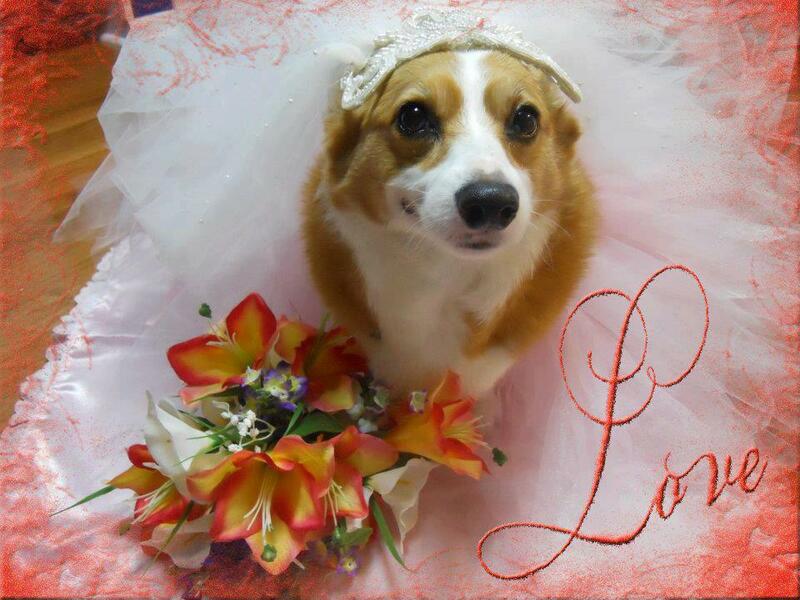 The Daily Corgi warmly congratulates Chloe Anne Johnson and Ernie Corgi on their Wedding Day! 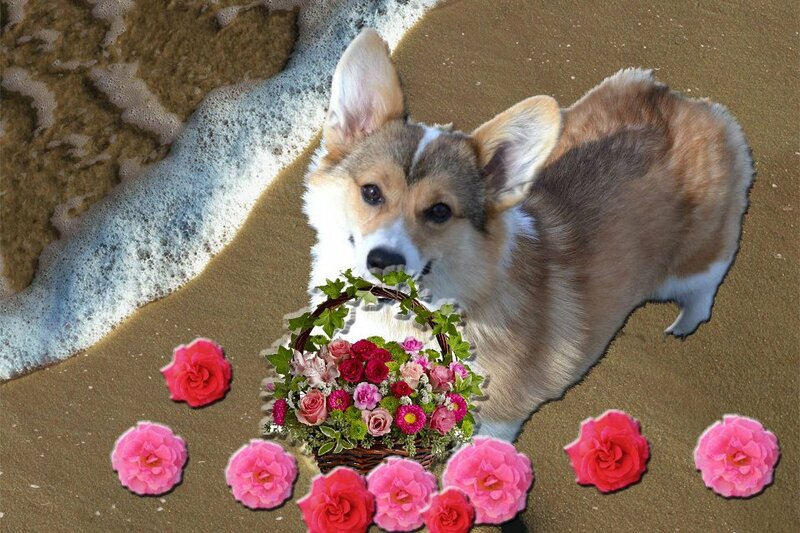 … and flower girl Harmony Richardson Corgi! 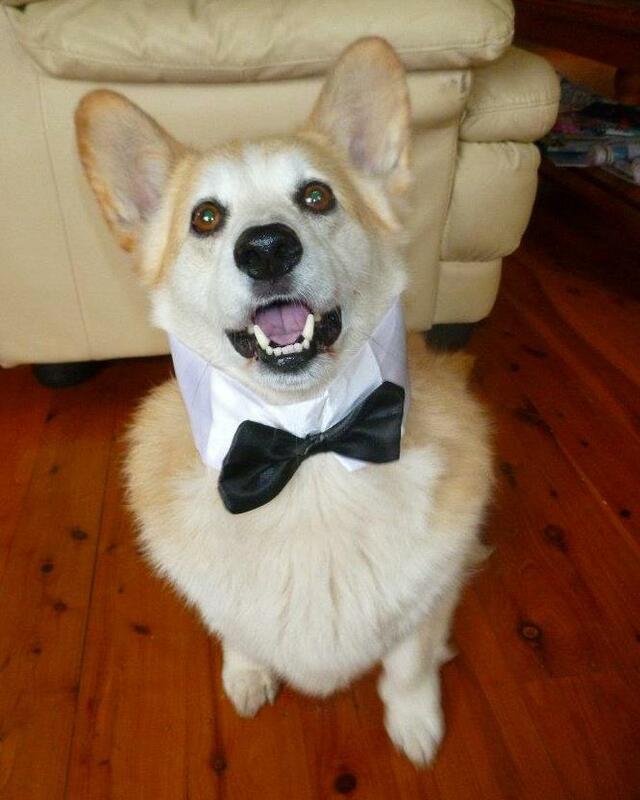 Benjimine J Bond Corgi officiated, as the happy couple joined paws and exchanged tender vows on facebook, witnessed by their many friends and admirers. Chloe Anne, you made that tulle and satin look GOOD, girl! 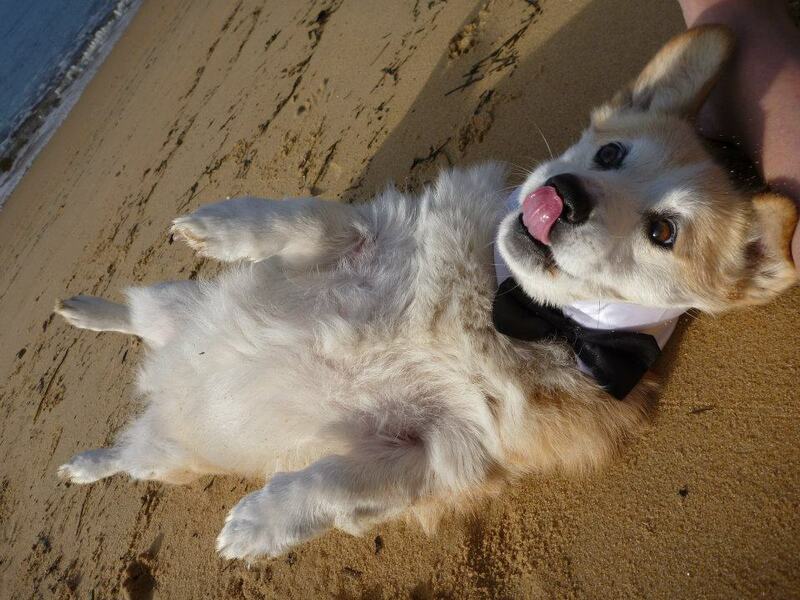 The groom was head over heels (and MAY have hit the bubbly a little too hard). Or is that just the giddy behavior of a man in love? At press time, the champagne is flowing, the cake is disappearing, the tunes are blasting, and everybody is barefoot on the beach, frapping the night away. Props to Kirby Calvin Ardissono and Trude’s Mom Susan Mooring on an excellent VJ’ing job! Also spotted: loads of gifts for Ernie and Chloe Anne. Hope you guys have plenty of storage space! Here’s to a FRAPPY EVER AFTER, you crazy kids! 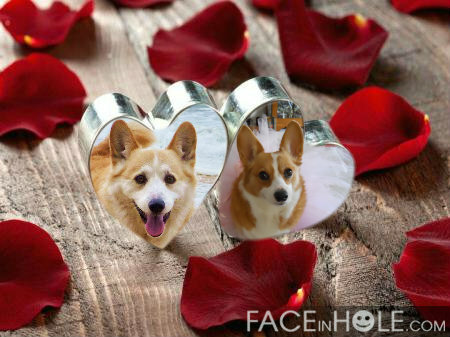 Goin’ to the Chapel: Ernie Corgi and Chloe Anne Johnson! 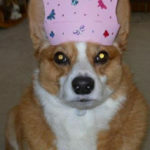 aneywse yiouserCongratulations to Chloe and Ernie Corgi! 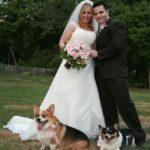 We had so much fun at your wedding! And thank you Daily Corgi for covering the biggest and best wedding since the 2011 Royal Wedding! Congratulations to the happy couple! This was the biggest and best wedding since the Royals were married last year! Glad Ernie finally made Chloe an honest woman…too cute.